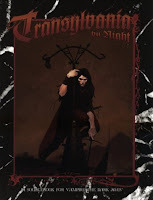 Transylvania by Night is the key setting book for the Transylvania Chronicles, and as such I’m starting off with a read through of this work. 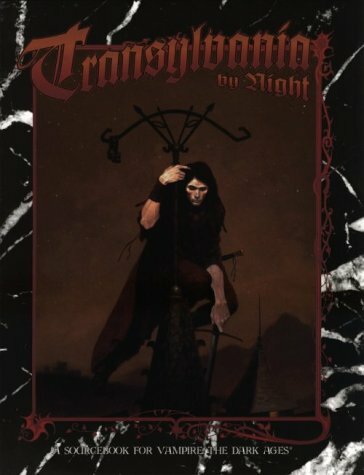 It’s one of the more ambitious and well-regarded of the “by Night” series, covering one of the most iconic settings for vampire stories, myths and legends. This “read through” will inherently be less critical than my take on the Chronicles themselves, but should provide essential background on the locations, people, monsters, and lore of the land. Chapter 1 is an incredibly short chapter, being more of a brief overview of what follows. Indeed, it’s less than 2 pages all told. However, it does give an evocative yet straightforward explanation of the Themes, Mood, and general concept of a Chronicle set in the lands of Easter Europe. It describes the region as a brutal and harsh land, where only the thinnest masks of civility conceal the Beast. It is a land riven by religious conflict as the adherent of Roman Catholicism, Eastern Orthodoxy and Paganism battle each other for the souls of the people, while the “melting pot” nature of the lands results in bitter ethnic rivalries and hatreds between the various tribes of Saxons, Hungarians, Romanians, Szeklers, Vlachs, and others. All in all, it makes me pretty excited about the setting, especially when the authors blatantly embrace the ahistorical nature of the world--many cities and organizations are more similar to their 14th century selves than their more accurate (but less useful for gaming purposes) 12th century versions. Chapter 2, by comparison is pretty extensive. Covering the history and rough geography of the land. To be honest, I found this chapter to be fairly disappointing. This is most likely the result of time, money, and page count. It covers everything from Lithuania in the north to Bulgaria in the South, and Bohemia in the west to Ukraine in the east. Needless to say, this a huge area, and only the broadest of strokes are possible at this level. Still, some things irk me. Before I go further, I feel I need to explain my own inherent biases. I never really signed off on the concept of the Kindred controlling or manipulating every aspect of mortal history and society. Indeed, I view them as inherently conservative and reactive--more likely to take advantage of changes that mortals already created rather than generating the change themselves. Or, if they do influence history, it’s more as a side effect of their schemes than direct choices. So, they don’t destroy a ruling dynasty to further “trade” or anything. They kill it because Vamp A and Vamp B both want to embrace the princess. Their schemes and seductions get out of control, and end up with the King mad, the Queen locked away on accusations of “treason,” the crown prince dead, the princess embraced by Vamp C, and the fate of the realm in the hands of a 5 year old. They destroy nations not with a well thought out plan, but as a side effect of their petty grievances. Also, they tend to be parochial and focused more on blood and local status than, well, anything else. If they deliberately influence the wider world, it’s often more to increase their own herd/favored feeding stock and undermine local rivals (and THEIR herd) than anything more grandiose. Those that do think “big” are rare, and scary. So, given that, this chapter didn’t work for me. Part of that is my own biases brushing up against the limits the authors had to deal with. But, part of it is also that the cool themes and moods don’t seem terribly well expressed in this chapter. As such, I’m thinking of slightly altering the history of the area. Well, less history, and more myth. Specifically, a myth of a “golden age.” As undead creatures, it might seem odd they can mythify the very history they lived through, but many mortals look back to the age of their youth as such a “golden age”--vampires can certainly be as foolish as humans, yes? During the waning age of Rome, and in the centuries that followed, a “proper” society of Kindred established themselves in the east. The “high clans” (a concept that I don’t think appeared until Dark Ages: Vampire, and as such is anachronistic for this book) ruled, each in their place and lands, with the Tzimisce as the “first among equals.” Each kept their own domains, and each was bound to the other in bonds of fealty (or old Roman client/patron). Most importantly, the Low Clans knew their place, and respected and obeyed their betters. The barbarian and savage invaders of the east disrupted this peace, particularly since crazed, blood hungry diablerists traveled with them, and these mad vamps lied to and encouraged the Low Clans to rebel against their lords. They were always beaten down or incorporated into the system, but the perfect world was shattered by refugees, rebellion, and the sudden death of elders. Many, especially the High Clans, long for a return to the old days, though all disagree with WHO should be blamed for its fall. For example,, the Tzimisce blame the Ventrue for failure to fulfill their oaths, while the Ventrue accuse of the Tzimisce of demanding service to protect their estates, but doing nothing to aid anyone else, and as such were unfit to rule. Anyway, this helps with the ethnic tension. The other factor is the religious issues. Now, religious issues are a pain--not only are they “real” and inherently controversial, but they are often complicated and difficult to grasp. I doubt most people remotely understand what the deal is with the Eastern/Western schism in the Christian Church, let alone want to play that out. Fortunately, Vampire can ignore this and instead focus on the various Roads. So, the bitter, violent, and possibly laughably illogical conflicts that are driven by Faith among mortals are instead driven by Roads among the undead. I don’t want to go into the exact breakdown yet. I imagine I will run this Chronicle for 1-3 players. If they choose to follow a Road aside from Humanity, I’d like to make their chosen path a major focus in the game, and the setting. Maybe their Path is dominant in the beginning, but sees its influence wane over the centuries. Maybe they begin in the minority, but can fight to have it climb to dominance, only to see all their work burned away in the Anarch Revolt. Really, whatever sounds cool and the players are excited by. Of course, I wouldn’t want it all “scripted”--maybe the players can keep their chosen Road viable to the modern nights, or maybe they fail and it ends up a historical footnote. Another thing about Roads--I don’t actually like them. I mean, it’s interesting to play a radically alien mind set, but ultimately I feel that Humanity is both the most “playable” Road, and also the most “powerful.” The ability to view the world as a human does allows for a far greater understanding and analysis of the herd of kine, as well as making it easier to blend in and disappear among the crowd. As such, I sort of plan to, as the years go by, show how static and ineffective they are. Following the Road of Heaven in the Dark Medieval is fine and good--those with such “enthusiasm” for the divine are respected and admired, and there’s a place for them. After the chaos of the Reformation, Counter-Reformation, and war, such wide-eyed fanaticism is viewed by much of society with skepticism and fear. So, I’d like to come up with a Road or two of even older paths-those derived from Roman mystery religions or Slavic cults, which in the current medieval world are outliers and dangerous, and mark the follower as something alien. I don't intend the players to follow these, but elders should, as foreshadowing of the dangers that the players themselves may face in the future. Oh, also, this chapter really needed a good map. Nowadays it’s less of an issue, as decent maps are a Google image search away, but in ‘96 not everyone had maps of medieval Eastern Europe at their fingertips. Knowing where Bohemia was in relation to Lithuania and their major cities would be useful for a Storyteller to get a better feel for the setting.